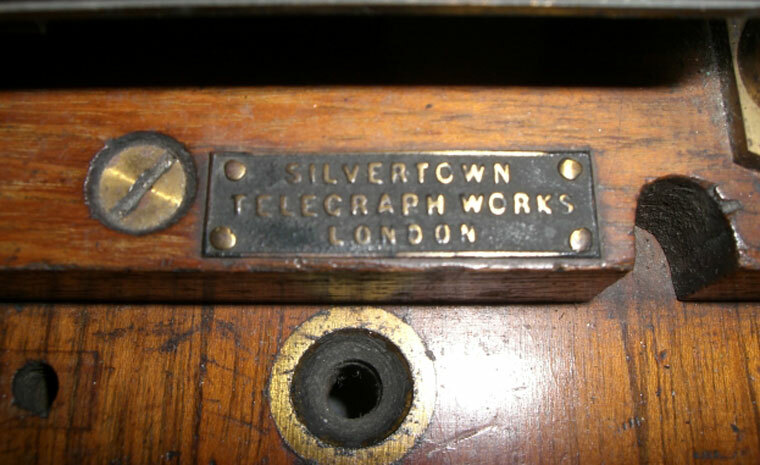 Duplex morse key name plate saying Silvertown Telegraph Works, London. Sticker on underside of above key showing that it is the property of Western Union Telegraph Co.
Samuel Finley Breese Morse (April 27, 1791 – April 2, 1872). He was also a painter of portraits and historic scenes. He was born in Charlestown, Massachusetts and was the creator of a single wire telegraph system, and co-inventor, with Alfred Vail, of the Morse Code. 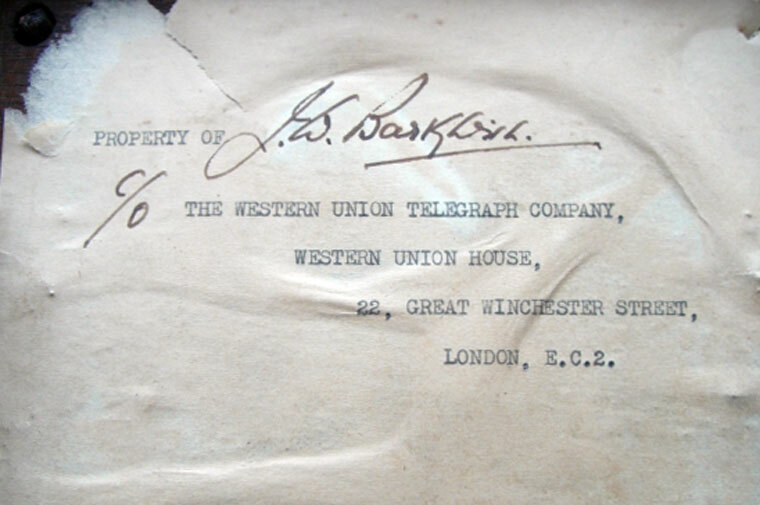 William Cooke and Professor Charles Wheatstone reached the stage of launching a commercial telegraph prior to Morse, despite starting later. 1836 In England Cooke became fascinated by electrical telegraph, four years after Morse, but with greater financial resources. Cooke abandoned his primary subject of anatomy and built a small electrical telegraph within three weeks. Wheatstone also was experimenting with telegraphy and (most importantly) understood that a single large battery would not carry a telegraphic signal over long distances, and that numerous small batteries were far more successful and efficient in this task (Wheatstone was building on the primary research of Joseph Henry, an American physicist). 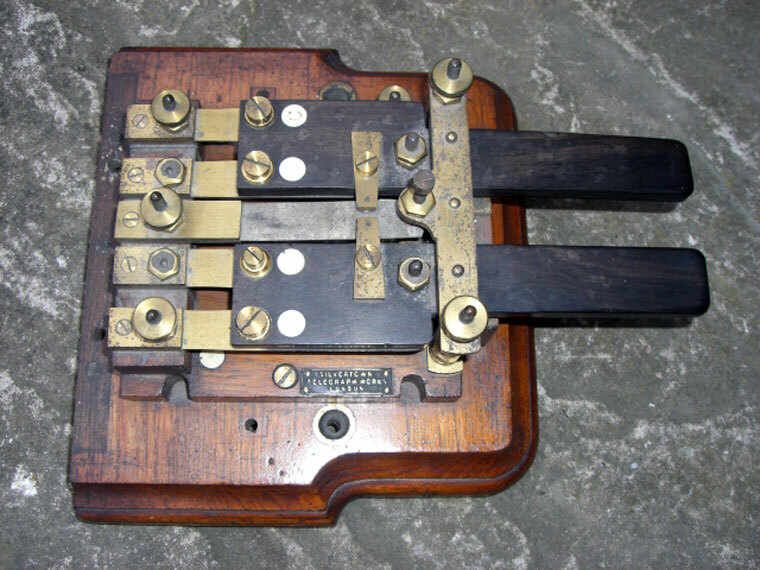 Cooke and Wheatstone formed a partnership and patented the electrical telegraph in May 1837, and within a short time had provided the Great Western Railway with a 13-mile (21 km) stretch of telegraph. However, Cooke and Wheatstone's multiple wire signaling method would be overtaken by Morse's superior code within a few years. Morse died on 2 April 1872 at his home at 5 West 22nd Street, New York City, at the age of 80, and was buried in the Green-Wood Cemetery in Brooklyn, New York. This page was last edited on 12 February 2013, at 13:23.